It’s been really nice to see people’s responses to the recent comics focusing on boot. I wasn’t sure if people would like it, at times I was certainly people wouldn’t, but people like boot. Boot configures itself as a protector of things that are kind. A fighter and a stalwart boot and with the sadness and loneliness that can come with being protector. 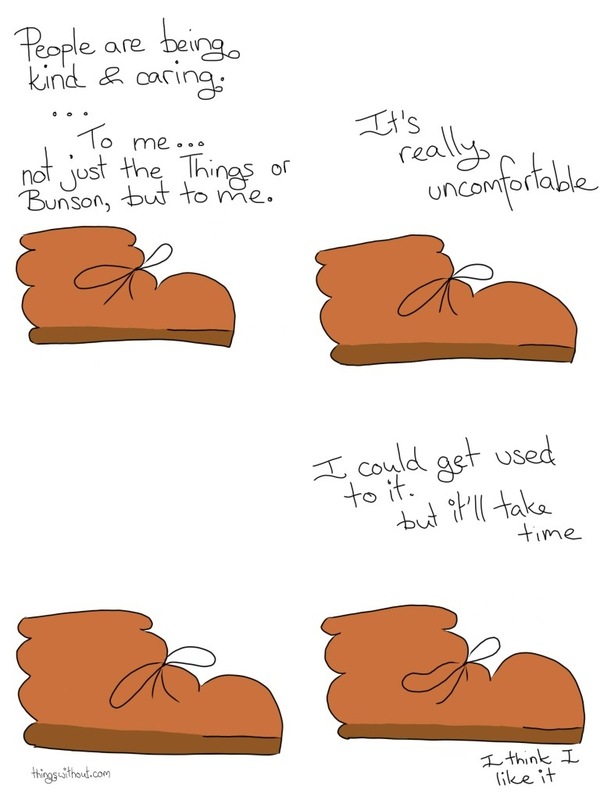 Folks care about boot, the last boot comic was one of my most popular comics in recent times and that makes my heart feel warm and snugly. Thank you for loving boot when it’s sad and struggling and not feeling so strong. It is easy for a boot to feel alone in the crowd.